I wanted to give you some Vanabode living basics to help you enjoy the laid back lifestyle of cheap travel and van life. The Vanabode lifestyle is all about making things better...not only for yourself, but for the lives you touch and the locations you visit. Yesterday, I wrote a piece about my best friend from college, Sherm Davey, who "dropped out" of the rat race (sold his house, furniture, belongings, etc) and purchased a used van to travel and live in. The Vanabode life is exciting and adventurous, but with it comes some personal responsibility. As Sherm says, "I'm a traveler and a wanderer, but I am not some dirty hobo who is looking to put something over on everybody. If you want to follow the Vanabode lifestyle, then you need to present yourself in the best light possible." 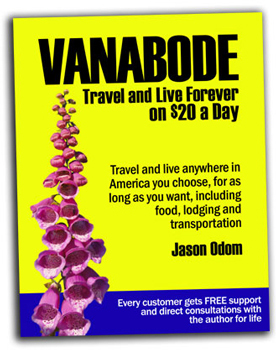 Says Sherm, "When I purchased Jason Odom's eBook, Vanabode - Travel And Live Forever On $20 A Day, it truly resonated with me. It is full of great tips and strategies for traveling all over our beautiful country without much of a care...but, there are a couple of strategies he utilizes that do not fit for me." Sherm said, "I have a few personal rules I try to follow, and it makes for a very worthwhile experience. My days are laid back, I travel cheap, and I get a lot accomplished." "However, society looks at guys who live in a van, or a small trailer, with a lot more suspicion than they do a guy who travels in a $150,000 dollar RV." "I'm not a bum. I'm not some kind of no-account drifter. I am not a petty thief, and I am not guy who thinks rules and boundaries do not pertain to him." 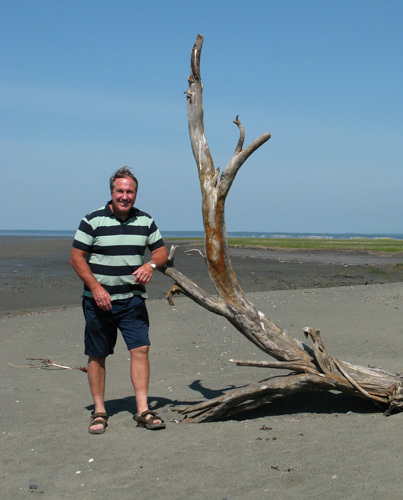 To Sherm, Vanabode living is about the richness of experiences, and the beauty of Nature. Here are his "basics" for living the Vanabode lifestyle. "When people think of a guy living in a van, they picture greasy sheets flung over a filthy mattress, in the back of a cluttered vehicle...and some guy with a matted hair and a beard who hasn't had a bath in three weeks." He says he makes it a point to shower everyday, make his bed everyday, and wash his sheets every week. "There cannot be any excuses for NOT doing this," he said. "The hardest thing I've had to deal with when it comes to Vanabode living is the absence of hot water. 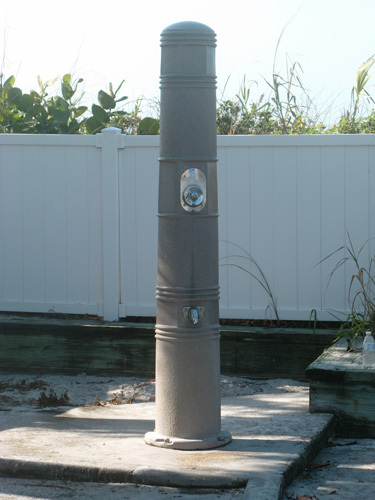 Since I travel to places with temperate climates, I have to shower outdoors a lot." "Let me tell you, the ground water temperature and air temperature are not even close to what you get in a motel bathroom." Sherm said two ways he handles this is to maintain a gym membership (he has a Silver Sneakers card from his health insurance provider) or to stay in dedicated campgrounds. "When I am out in the wilds, I always make camp near a mountain stream or lake...of course, there is nothing warm about either of those. You just have to tough it out." Sherm said he runs into guys all the time who say they sneak into motel pools, but he has never done that...and never will. Sherm also stays clean-cut, shaves everyday, and wears a shirt with a collar...especially when he has his evening beer at some little beach bar to toast the sunset. The biggest difference I noticed in Sherm when I first saw him was how lean and muscular he looked...at 62 years old. He told me he dropped weight from 192 lbs. (at 5'9") to 170 lbs...yet he looked like a body-builder or an NFL defensive back. His waist had decreased from 35" to 31". "When I first started this journey, two years ago, I made a commitment to eat Paleo...follow a caveman diet...which is actually what Olympic and professional athletes do." "I bought an eBook by a guy named Sean Croxton called, The Dark Side Of Fat Loss, and it put me on the path of limiting my carbs, and eating only natural foods and meat." "The biggest lifestyle change I made was to get sugar foods and processed foods completely OUT of my diet. Once your carb consumption drops, the fat just melts off your body. I sit at about 9% - 10% body fat, now." "Living out of a van, it is way too easy to live off stuff like breads, cold cereal, sandwiches, chips, pizza, bagels, donuts, energy bars, fast food burgers, and pop. I never touch any of that junk." "I eat mostly green vegetables, a little bit of fruit, and a couple of handfuls of nuts throughout the day. 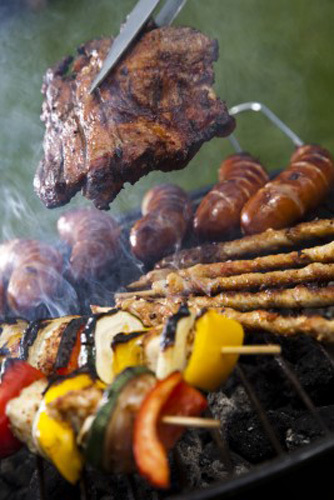 I cook up a lot of meat in parks and campgrounds to last me 2-3 days at a time." Sherm says he does some kind of strength building workout each day, mostly consisting of pull-ups, push-ups, burpees, air squats, and interval work/sprints. Mostly, his workouts take place outdoors. He uses his gym membership mainly to take a daily shower when he is van-dwelling inside city limits. "I workout in the gym only if it is raining," he said. "It takes me about 30-40 minutes, including my stretching and warm-up. Two days a week, I take a break and just walk/hike for an hour." "I also do a crossword puzzle each day to keep my brain healthy and alert," Sherm said with a laugh. The biggest perception a guy following the Vanabode lifestyle has to combat is that he is some bum who just showed up in town...NOT the upstanding visitor he really is. "I make it my business to know the laws about sleeping in my van within the city limits, or putting my little tent out on a beach," Sherm said. "One of the first things I do when I come to a new area is visit the local police station and ask them straight-up about me parking some place over night, or for a few days." 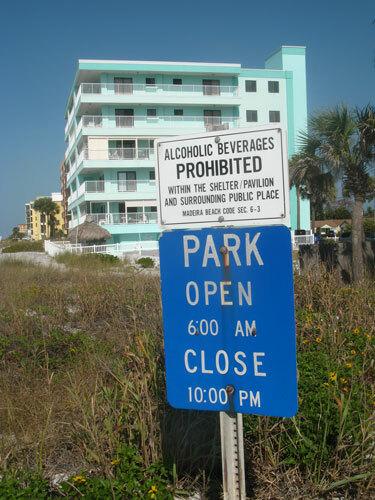 "I do not litter, I do not get drunk, I do not go onto motel or resort property to get in their pool or hot tub, or sneak food from a buffet spread." "My whole intent is to be the kind of guy who follows the rules, and does not draw any kind of negative attention to himself." "Look, Vanabode living is about slowing down time so you can do all the things you want to do...it's NOT about laying around like a bum and letting your brain go stale," Sherm told me. "Just like you guys who retired here in Paradise, I read, workout, and work at a little online business I created through SiteSell." Sherm said one of the first places he visits, after speaking with the local police department, is the town library. 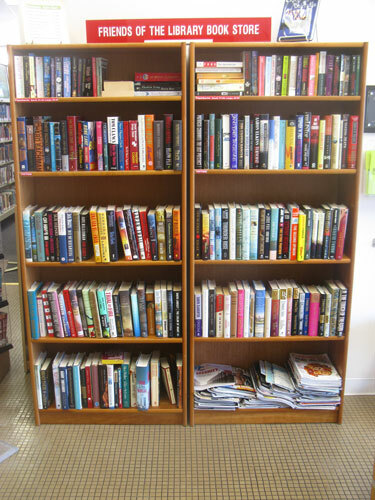 "They usually have a bookcase full of duplicate books, or ones they've taken out of circulation that sell for a dollar or less. I pick up a couple, then drop them off at my next stop." 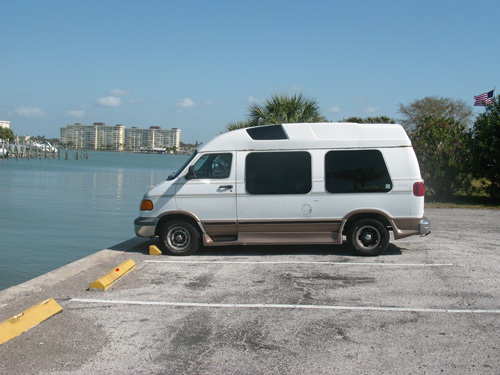 Vanabode travel affords you many nice opportunities that you would miss by blazing through from motel to motel. "The library also usually has a stand for the free local paper, which lets you know what unique events might be going on during your stay." What about your business? How do you keep up with that, I wanted to know. "Easy," said Sherm, "I have a laptop that I edit the photographs I take, and upload them and the content I write to my SiteSell website." "I am no Internet guru, but I average about $40 - $50 bucks per day in profits, which is fine for me. It gives me an extra $1200 - $1500 dollars a month. I can live like a millionaire on that, if I wanted to." "In three years, I have been able to purchase a new Canon Digital Rebel camera, and a nice MacBook Pro laptop." "I also make sure I document my mileage, expenses, and what work I did each day. Unlike a lot of Solo Build It owners who leave money on the table, I utilize every legal tax deduction that is provided for me." One other thing Sherm does is spend 30-45 minutes, each day, picking up litter in whatever area he is staying. "Listen, I am thankful I get to travel cheaply and live such a laid-back lifestyle in a beautiful country like the United States," Sherm shrugs. "It's no big deal. Vanabode living is also about giving back." "I have one of those little trigger-trash grabbers. I just take a couple of grocery bags and fill them up. I'm just doing my part, that's all." I hope this expanded article has given you some more insight into the world of inexpensive travel and living cheaply on the road. The pull of Vanabode living is very alluring.